The final days of Metro's Yellow Line shutdown will slow riders this weekend, and there are also some service changes on the Red Line, as well as changes on the roads. Here's what you need to know. WASHINGTON — The final days of Metro’s Yellow Line shutdown will slow riders this weekend, and there are also some service changes on the Red Line. On the roads, drivers must watch for a complete closure of the Memorial Bridge from 9 p.m. Friday to 5 a.m. Monday, weather permitting. There are also a number of holiday parades or other events that could slow traffic in specific areas this weekend. There are no Yellow Line trains through Sunday night. Regular service is scheduled to resume Monday morning. This weekend, Blue Line trains alternate between Huntington and Franconia-Springfield, so all stations are open. South of King Street, though, waits for a train could be more than 30 minutes. Blue Line trains to and from Largo Town Center are scheduled every 16 minutes before 8 p.m. and every 20 minutes after 8 p.m.
On the Red Line, trains are essentially scheduled normally, with the exception of single-tracking between Farragut North and Judiciary Square after 10 p.m. Saturday and Sunday. There is no work scheduled on the Orange, Silver or Green lines. 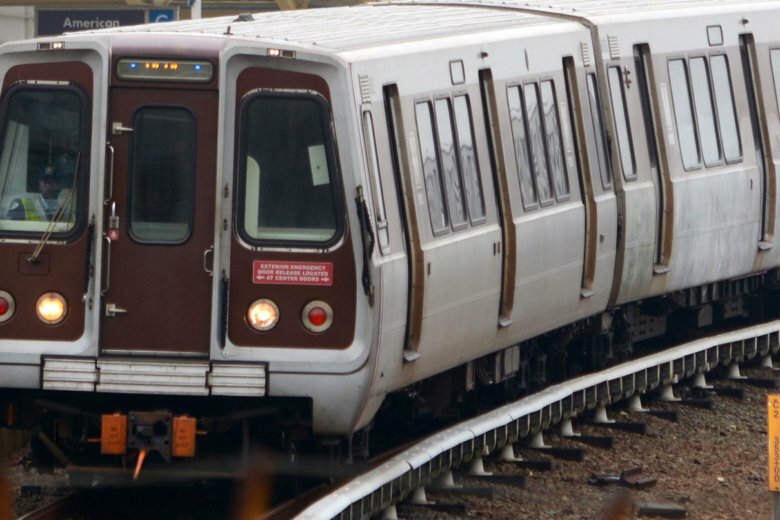 The next major round-the-clock shutdown is planned to run for months next summer, with no service south of Reagan National Airport on the Blue or Yellow Lines from Memorial Day to Labor Day 2019. Alexandria is asking for feedback from travelers on how that shutdown will impact commutes and other trips through the city. Northern Virginia jurisdictions are in the process of planning alternatives that may be offered during the closure. Fairfax County is looking to at least run extra Fairfax Connector service to and from the Pentagon. Alexandria plans special bus shuttles and parking options, with expanded telework for city staff. Metro plans to run four shuttle bus routes during the closure: one express between Franconia-Springfield and Pentagon; another express between Huntington and Pentagon; one local shuttle between Reagan National Airport, Old Town Alexandria, Van Dorn Street and Franconia-Springfield, and another local shuttle between Crystal City, King Street, Eisenhower Avenue and Huntington.